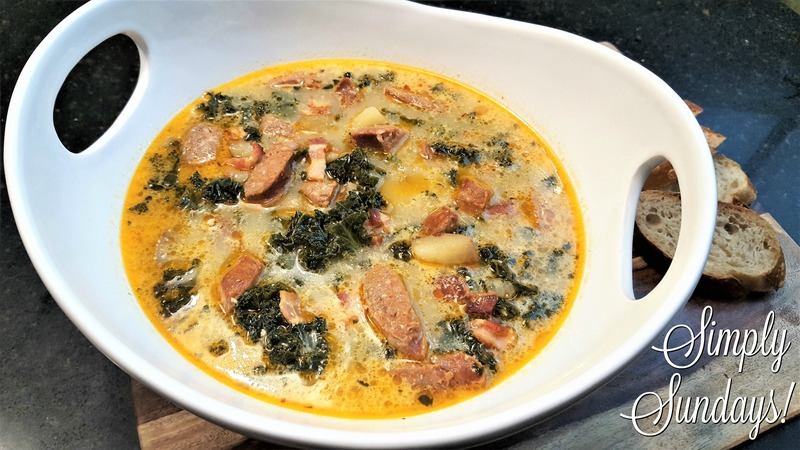 Toscana Soup – Simply Sundays! Now you can have that soup anytime you want right at home! Here is our take on Toscana Soup! We served this with a nice crusty baguette!